Reuters; ReutersPaul Romer, left, and William Nordhaus. The economists Paul Romer and William Nordhaus have been awarded 2018’s Nobel Memorial Prize in Economic Sciences. The two men were awarded the prize for their roles in changes to long-term economic forecasting. 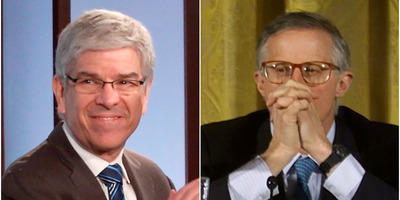 Romer was awarded for his work on the integration of technological change into forecasting, while Nordhaus received the prize for looking at climate change in economic modelling. The economists Paul Romer and William Nordhaus have been awarded 2018’s Bank of Sweden Prize in Economic Sciences in Memory of Alfred Nobel, often considered to be the most prestigious prize in the field of economics. Romer, a former chief economist of the World Bank, received the prize “for integrating technological innovations into long-run macroeconomic analysis,” the Nobel committee said. Romer’s work focuses on the way in which societal innovations based around technology can boost long-term growth. He argues that governments should promote technological innovation as a means of securing future prosperity, backing in particular the funding of STEM subjects. An example of this would be how a tax on carbon output would affect both the economy and the climate of any given nation. Though the prize is not technically considered a Nobel Prize, as it was not established in the will of Alfred Nobel, it is regarded to be equivalent to those prizes (Chemistry, Literature, Peace, Physics, and Medicine) in the field of economics. The prize has previously gone to such major names as Milton Friedman, Paul Krugman, and Friedrich von Hayek. Political scientists whose work has influenced economics as a discipline have also been honored. Last year it was awarded to the behavioural economist Richard Thaler, who won for his work on nudge theory, the idea that small “nudges” can influence our economic and social behaviour, and his work around humans being irrational economic actors.